Normally, in the morning, the cars start traveling bumper-to-bumper in Van Nuys, and indeed, all over the city. Since the school strike began, the number of vehicles on the roads seems to have dropped significantly. Parents take their children to school by car and drive them miles to attend magnet schools, charter schools, and schools with better educational results. There are parents who live in Van Nuys and drive their kids to school in Los Feliz, and there are people who live near me who worry about their 4-year-old daughter starting kindergarten because the local, walkable, nearby school is only rated 1 out of 5 stars. When school is in session, a convoy of cars, SUVs and vans drives up and down Columbus Avenue where the people without means still bring their children to class before the parents start work. Los Angeles was built to allow children to walk to school. For most of the history of the city it worked that way. But illegal immigration changed all that. The preponderance of non-English speakers made parents who want their children educated in English fleeing and fearful of LAUSD’s public education. Proposition #13, which keeps taxes to the level that a home was originally purchased at, rather than its current value, is an idea meant to starve public education, because the taxpayers cannot be expected to continually spend more to educate everyone who comes here from south of the border. 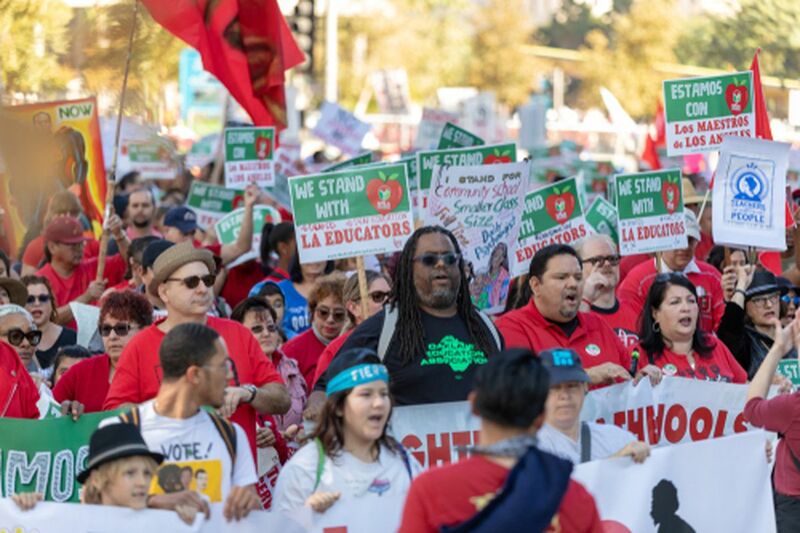 There is a racial component to the withdrawl from public education in Los Angeles, and everyone knows it, but nobody really talks about how it came about. So the light traffic will certainly get heavy again, as the one child, one car, faraway school system gears up again. The question is: why and how are do we endure this? It’s the same quandary that Los Angeles continually creates for itself. By allowing illegal activities, such as vast public homelessness, it invites and incentivizes the very things that diminish civic life and cause more suffering for the residents of this city. Would it not be wonderful if children could walk to school? Would it not be delightful to see them riding bikes and walking to well-organized, highly rated schools? Or is it preferable to have a city of fatties in vans sitting in traffic, grabbing a Jack-in-the-Box on their way to the freeway to bring Sophia and Mohammed 15 miles to their morning classes and back again at 3pm? No wonder there is such aggression in this city. People can’t catch a break, they are forced to spend more to educate their children, to inconvenience families by chauffeuring kids to class, and it’s all under a system blessed by the hypocrites in the state house and city hall. It’s not illegal to be homeless. You err in that. You are so good. Truth, unvarnished. I’ve read some of your past stuff and can’t disagree with much. If a picture tells a story, just that one from Hazeltine Elementary speaks volumes. And not just the faces…….I tried, without success, to find a single fatty in the group. And the composed, adult, and even somewhat milfy Mrs. Fletcher…..she would stick out like a space alien in the LAUSD Teacher’s Union crowd. And all within my lifetime ( I was 7 when that photo was taken). Very sad, really. Lofty ideals aside, they mostly ARE just day-care workers.